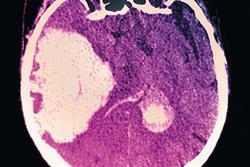 Patients with paroxysmal atrial fibrillation (AF) are less likely to be offered anticoagulant therapy for stroke prevention than patients with other types of AF, researchers at the University of Birmingham have found. The researchers analysed GP prescribing data from 648 practices across the UK for trends in anticoagulant therapy in patients with AF between 2000 and 2015. Their analysis showed that, in 2000, patients with paroxysmal AF were half as likely to be prescribed anticoagulants as patients with other forms of AF and by 2015 these patients were approximately 20% less likely to be offered anticoagulants. Although a much greater proportion of patients with paroxysmal AF received anticoagulants in the latter years of the study, a significant treatment gap persists. 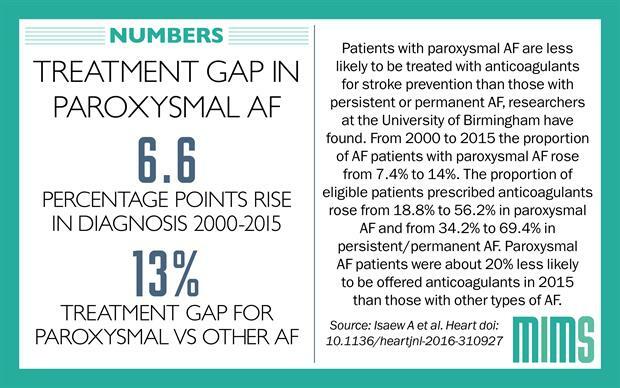 The absolute number of patients diagnosed with paroxysmal AF increased several fold from 2000 to 2015, suggesting that there are now far more untreated paroxysmal AF patients in real terms. "The 15% treatment gap in 2000 equates to roughly 6000 paroxysmal AF patients," said Dr Nicola Adderly, one of the researchers. "So what that means is that if paroxysmal AF patients had been treated at the same rates as other AF patients, an extra 6000 would have been treated. In 2015, that number has increased to about 20,000." According to Dr Adderly, it's unclear whether the treatment gap is due to "clinicians being less likely to start paroxysmal AF patients on anticoagulants or paroxysmal AF patients being more likely to stop their treatment, for whatever reason". 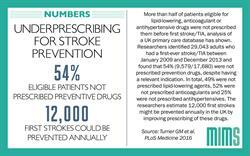 NICE recommends anticoagulant treatment for all adults with AF who are at increased risk of stroke, regardless of AF type.